Listeria has reared its ugly head (and tail – flagella, technically speaking) seemingly quite a bit recently. According to FDA, there have been 14 recalls due to possible Listeria contamination so far this year. (Five of those were linked to the same spinach supplier.) And USDA’s list shows another three. While most of these recalls have not been linked to illnesses*, Listeria is extremely serious and considered a high-priority within the US food safety system. What is this nasty bacteria and why is it so serious? 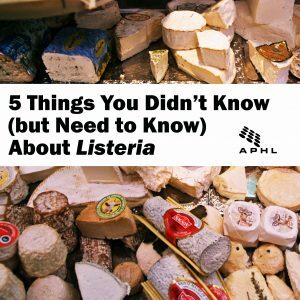 Here are five things that you didn’t know (but need to know) about Listeria. 1. 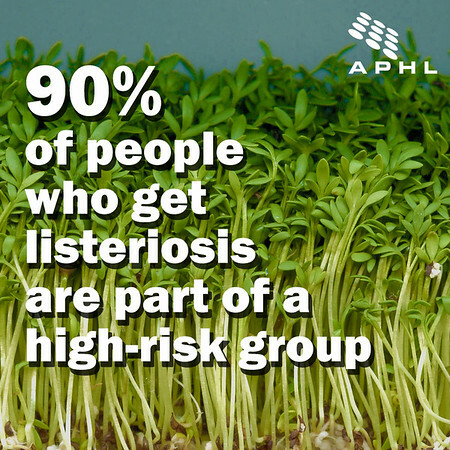 90% of people who get listeriosis (the infection caused by Listeria monocytogenes) are part of a high-risk group such as pregnant women, adults over 65 years and people with weakened immune systems. In fact, pregnant women are about 10-20 times (depending on the source) more likely and the elderly are four times more likely to get listeriosis than the general population. If you’re part of one of these groups, take Listeria risk very seriously. 2. Listeria has a very high mortality rate. CDC estimates that there are about 1,600 cases each year and 260 die (approximately 16%). By comparison, CDC estimates 19,000 Salmonella cases each year and 380 die (approximately 2%). 3. Listeria is unlike many other foodborne pathogens because it can grow even in the cold temperature of the refrigerator making it extra important to avoid cross contamination from uncooked meat, fish or other high risk foods. Like other foodborne pathogens, proper cooking is the most effective way to kill Listeria that is lurking on your food. 4. The incubation period for Listeria is 3-70 days. 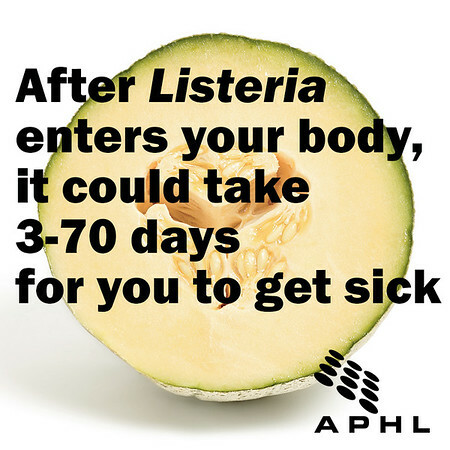 That means it could be up to 70 days after Listeria entered your body before you get sick. Many people who get foodborne illness often point to the last thing they ate as the culprit, but that’s often not the case especially with Listeria. For the purposes of an outbreak investigation, epidemiologists will look back even further – as much as 120 days prior to when a person became ill – to be sure they are really looking at every possible suspect. Can you remember what you ate 70 days ago? Or even 120 days ago? 5. The US food safety system takes Listeria extremely seriously. There is an enhanced surveillance system led by CDC called the Listeria Initiative which requires health care providers to report listeriosis cases; requires public health officials to promptly interview anyone with listeriosis to gather information that could help identify the source of infection; and requires clinical labs to send positive samples to public health laboratories for subtyping using PFGE (DNA fingerprinting). The DNA fingerprints are uploaded to PulseNet, the national network of public health and food regulatory agency laboratories that connect foodborne illness cases together to detect clusters of bacteria that make people sick. All of this helps accelerate outbreak detection and surveillance, and decreases the amount of time it takes to stop an outbreak from progressing. * While there have been 17 recalls due to possible Listeria contamination, most have not been linked to illness. Five national PulseNet clusters of illness have been detected and reported to epidemiologists this year. Four of those clusters have led to epidemiologic investigations. As of now, three of those investigations are still open and active. One of those investigations has led to a confirmed source and is still considered active.